HGH (Human Growth Hormone) is composed of amino acids and is secreted by the pituitary gland. The pituitary gland lies at the base of the brain and is the center for a large part of overall hormone production. You release HGH every three to five hours in short bursts, with the strongest effect occurring about an hour after you fall asleep. Why is all of this important? Because HGH also stimulates the release of IGF-1 (insulin-like growth factor-1), which is the main hormone that enables tissue growth. So basically, raise your HGH levels and you will get huge faster. Getting sufficient sleep is paramount for the proper functioning of the pituitary gland. During REM sleep, you release about 90% of the human growth hormone. Switch off all your lights, and eliminate any possible distractions that could wake you. Try to get at least 8 to 9 hours a sleep every day. It’s a well-known fact that your HGH production levels increase with intense physical training, so try to make your workouts short and heavy. Finish a workout in 50 minutes or less, and go for the maximum amount of weight you can work with. Training for more than 90 minutes actually results in a decrease in HGH and testosterone because of the increase of Cortisol levels. Lots and lots of protein, low glycemic carbs and healthy fats are what you need. Reduce your starchy and high glycemic food intake and you should see an increase in both HGH and testosterone. Make sure to eat your proteins 2 hours before and immediately after you work out. Of course, where would we be without supplements? 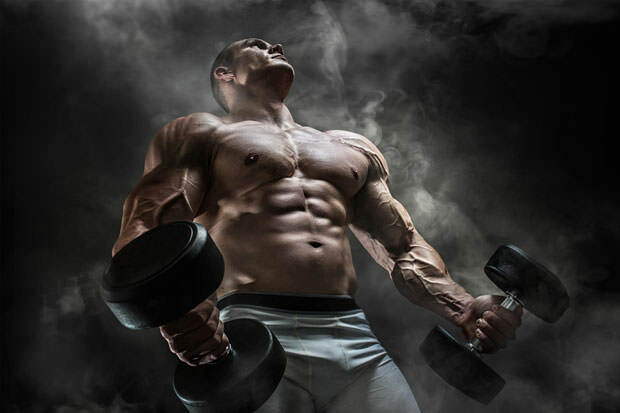 Taking supplements like amino acids has been proven to increase HGH levels in humans. Try these specific amino acids for the best results: L-Arginine, L-Lysine, L-Glutamine, Glycine, L-Tyrosine and GABA (Gamma-aminobutyric acid). As we said, the biggest amount of growth hormone is released during the first two hours of sleep. If you eat a large meal right before bed, you create an insulin peak and, therefore, hinder your HGH output. The foods you consume can also be an important factor, so here’s a list of the foods you should eat to get those HGH levels pumping: pineapples, fava beans, goji berries, coconut oil, grass-fed beef, yoghurt, raw chocolate, algaes, eggs, watermelon, parmesan, nuts, raisins, whey protein, gelatin desserts, beets, lemons, colostrum, raw milk, and water, especially water. RELATED: Do You Really Need Protein Powders?